After my issues last week with tracking down shellfish in its various forms, I was determined to make this week one that counted. With the tides and the weather on my side (sometimes a miracle on the windswept November North Coast), I didn’t think anything could go wrong, and for once, I was right. It was a perfect week of hearty Cornish goodies and new discoveries, in terms of recipes and techniques, and a lovely mix of the very traditional vs the modern and edgy. I’d love to know what experiences people have had making any of these recipes – there are bound to be people out there who know these techniques inside out, or have tried them to varying effects. Please do get in touch! I’d never eaten a Cornish Split until I made this recipe – and in all honesty, I’d never even heard of one until I first picked up a copy of this book. A yeasted cousin of the much-lauded scone, the Cornish split involves slightly more time and effort, but no more than you’d exert on making a cake or a loaf of bread. It produces a lighter, tighter, almost bun-like treat, which you dust with icing sugar and approach exactly as you’d approach your usual cream tea: dollop of jam, dollop of clotted cream (in that order, thanks – we’re not heathens.) We demolished a plateful of these on a dank, dark Friday afternoon in the CFD office – and they hit the spot perfectly. The recipe was easy, though mine sidled up to each other during the rising process and all came out a little bit triangular. Oh well. I may not make it on the Great British Bake Off, but at least now I know I can definitely do the Splits. 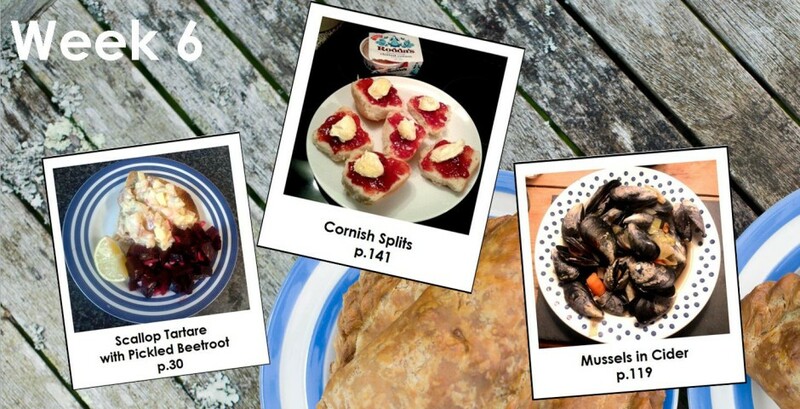 The Chough Bakery’s recipe for Cornish Splits is on page 141 of the Great Cornish Food Book, or you can find it here. 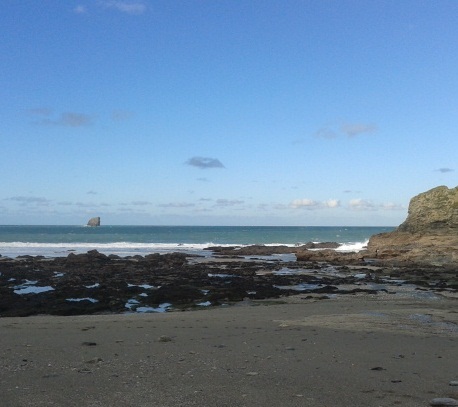 The weather turned this week, leaving icy temperatures but still waters and low tides in abundance, so a trip to the St Agnes fishmonger was a resounding success first time around. I have to say, it was pretty nerve-wracking preparing something raw, though once it’s mixed in with homemade mayonnaise and diced bacon, you barely notice. Don’t get me wrong, I’m all for eating raw things – oysters, steak, all kinds of fish – but usually they’ve been prepared by someone with a modicum of food expertise, not knocked up from scratch in my kitchen on an ancient chopping board. There’s something that sounds incredibly wholesome about picking your own mussels. And, in a county surrounded on three sides by rugged coastline, you’d be hard pushed to find an excuse not to head out into the cold for shellfish that’s literally as fresh as it gets. Finding them vacuum-packed, shipped down from Scotland to the chiller cabinets of the supermarkets is incredibly bad form, in my opinion. We headed to Trevellas Coombe for ours, where at an appropriately low tide you can find the rocks teeming with massive beardy mussels that taste incredible – it took us about 20 minutes to grab about four kilos, more than plenty for three people. However, upon getting home and realising I didn’t have the necessary bits and pieces to make a killer fish stock, I had to resort to a stock cube, which is definitely less impressive. I also didn’t realise that ‘de-bearding’ your mussels does mean actually yanking the beard out from the shell, not just trimming it off from the outside like you’re a special mollusc hairdresser. Despite the abundance of beards and the lack of real stock, the mussels went down very well after a big long walk on the cliffs to get the blood flowing back to our feet. We had it with warm sourdough and lots of butter, washed down with glasses of cold Cornish Pilsner. ‘Ansum.